Fall is quite possibly the most beautiful season in Virginia. 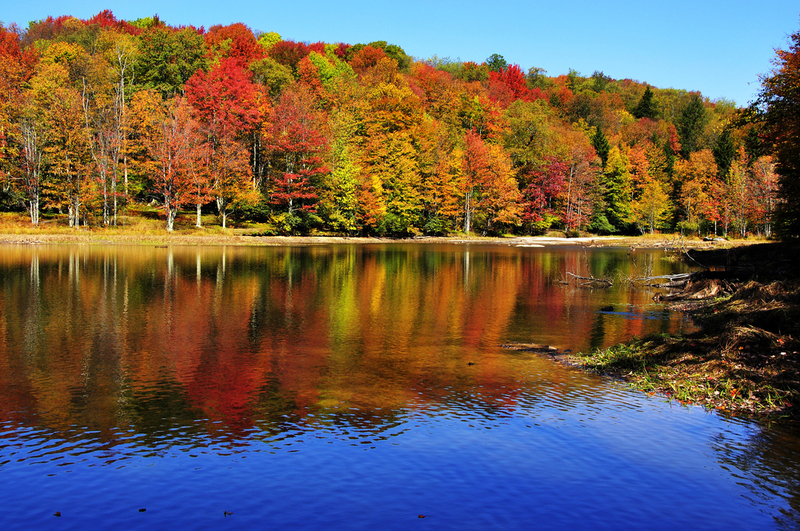 The spectacular color show within the George Washington and Jefferson National Forests as well as Sherando Lake recreation area is the perfect backdrop for any getaway. Think apple picking, hayrides, fall festivals and gorgeous scenery with the leaves bursting with an array of vibrant color. Many refer to the time when the leaves are at their brightest as ‘peak’ for seeing the fall foliage. You can view what the Virginia Department of Forestry forecasts for the fall season by visiting their website page designated for fall information by clicking here. They have yet to release any expectations for this upcoming season’s fall color, but you can plan on mid-October to the end of October being the typical peak color periods. Mid-October for the areas in the Western part of the state and Oct 20-31 being the typical peak color time for Sherando Lake. Right now, we do not have any mountain, VA Cabin Rentals available for the weekend of Oct. 16-18th, but we do have 6 cabins in Virginia mountains available for the Monday after, Oct. 19 thru Oct. 22. 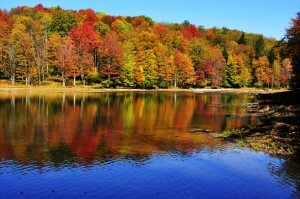 This would be a fantastic week to see the colors of fall in Virginia and enjoy a wonderful getaway. The weekend after Oct. 23-25 is currently all booked up as well, but the Monday after that weekend, on Oct. 26, we will have 8 available cabins for that week. We’d love to welcome you and your loved ones for a fun fall vacation to Sherando Lake. Click here to begin reserving your cabin.